Andrée-Lise is founder and managing partner of Cycle Capital Management (CCM), the most seasoned and dedicated Canadian cleantech venture capital platform. Over the last six years, she raised over $230 million with strategic institutional (FSTQ, Fondaction, CDPQ, Teralys Capital) and industrial (Rio Tinto, Cascades, Brookfield, Lonza, Systemex, Gaz Métro, Hydro-Québec, Alouette) investors, and assembled a world-class team to deploy the most active cleantech venture capital platform in Canada. Since 2009, she and the CCM team built an impressive portfolio of innovative technology companies. 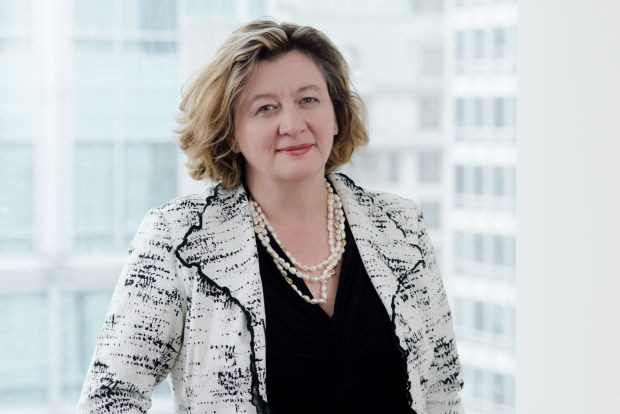 Before and during her work at CCM, Andrée-Lise served on many boards of directors for public and private companies, including some of CCM’s portfolio companies, as well as many other organisations. Andrée-Lise is the Founder and Chair of the Board of Directors of the Ecofuel Accelerator, and championed the fundraising for its future affiliate fund, the Ecofuel Seed Fund. She was recently appointed to the board of directors of Transition énergétique Québec and to the board of directors of Sustainable Development Technology Canada (SDTC), where she was already acting as a member of the Investment Committee. She is the vice chairperson of the Board of Directors of the Société québécoise des infrastructures (SQI), serving as the Engineering representative, where she also chairs the Human Resources committee and is a member of the Governance committee. Andrée-Lise co-founded Écotech Québec and Ecofuel, a cleantech startup accelerator. Ms. Méthot also serves as a member of the Private Sector Advisory Board for the Networks of Centres of Excellence of Canada, a member of the board of the Fonds Capital Culture Québec, and sits on the External Advisory Committee to the Vice Principal Research and International Relations at McGill University. Andrée-Lise also co-chaired a Task Force under the auspices of the United Nations Environment Program (UNEP) and of the Society of Environmental Toxicology and Chemistry (SETAC). She sat on various recognition committees, including those for the Grand prix du Génie Québécois, the Canadian Consulting Engineering Awards, and the EY Entrepreneur of the Year contest.